Well finally we have experienced a few weeks of sunshine and, hopefully, you have all managed to enjoy some of the beautiful weather. L’Oreal and Ambre Solaire have teamed up to offer a promotion. If you buy two Solar Sublime products you will receive a free sun protection oil. The Solar Sublime hair products are specially formulated to protect against sun, chlorine and salt damage. We are also promoting our Mythic Oil range, perfect for dry hair and taming the frizz, buy two products and receive a handbag sized brush. In the Salon we have had a flourish of clients having their hair spruced up for summer. Emma H particularly enjoyed doing a complete restyle from long hair to a short inverted bob with blonde highlights shattered throughout whilst Emma G is loving the new trend for dip dyed hair and has been colouring her clients with blonde through to blue! The girls have been enjoying their holidays and a varied social life. Ann is frequently dancing her socks off during line dancing weekends, and Anna recently had her first experience of steering a segway and was very proud of her achievement in staying on it! Sophie is currently on her holidays from Uni and is very pleased with her second year result in gaining a 1st. She and her hubby are off to India in September travelling independently by train. So watch this space to see if she returns in one piece. Here’s hoping the good weather continues, keep safe in the sun and don’t forget to look after your hair in these sunny conditions. Well we’d like to start off by saying what a beautiful Spring we are enjoying but so far it hasn’t arrived!! Hopefully the weather will improve through April. The girls in the Salon are keeping warm by busying themselves with their clients. Ann, however, has enjoyed the sunshine of the Canary Islands. Anna didn’t get it quite right as she went to Manchester? On the theme of winter sunshine and summer holidays, L’Oreal and Ambre Solaire have teamed up to offer a promotion. If you buy two Solar Sublime products you will receive a free sun protection oil. The Solar Sublime hair products are specially formulated to protect against sun, chlorine and salt damage. The girls enjoyed the latest Spring/Summer fashion collections and have looked closely at the hair and make-up that appeared on the catwalks. These looks included hair up, featuring loose buns and casual plaits and the classic bob made an appearance cut with a blunt fringe. If any clients would like to chat about changing their style then please contact us and make an appointment for a free consultation. Some new colours have been added to our extensive range. INOA by L’Oreal (the ammonia free colour) have produced some particularly stunning shades of red and mocha chocolates, both of which add a glorious shine to the hair. For summer the dip dyed blonde look is still very popular but now a few highlights are added to give a more natural look. Emma H is on the move again and will be closer to the Salon as she will be in Cowplain, so she has no excuse for not getting into work despite any bad weather conditions as she will be on the bus route. Ha Ha. It also makes her a neighbour of Emma G – as if it’s not confusing enough! Speaking of Emma G, she has almost completed her first year as a stylist and is very in tune with the latest fashions and hair trends. In June Sophie will have completed her 2nd year at University (where has that time gone) and she is looking forward to the break from her studies BUT will be increasing her hours in the Salon over the summer and is looking forward to catching up with everybody and, of course, the gossip. Danni is hoping to start her studies as a Teacher’s assistant this September, in the meantime she will still be helping out in the Salon with holiday and sickness cover. If you would like to catch up with her, ring the Salon for the next available dates. Beth has now left us for a life on the ocean wave and is currently working as a stylist on the cruise ships in the Caribbean and is having a whale of a time, literally, as she has been swimming with dolphins and turtles. We are still in touch with Karen, who has settled in well to her life in Australia and is currently enjoying the sunshine. If only we could buy that in bottles! Keep smiling and we look forward to seeing you soon. 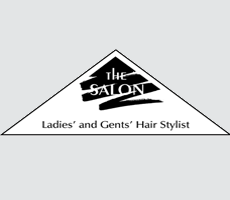 A quick update on what’s been happening in the Salon. Danni has left us to go and study as a Teaching Assistant. We will all miss her, but we wish her every success in her chosen path. However, she may be back to cover during school holidays so you may get the chance to catch up on all her gossip. Lucas has been back doing a few little odd jobs for us and has enjoyed flirting with the ladies. Our regulars have been pleased to see him. Karen returned from Oz for her daughters’ graduation and was here for a week. We had a lovely evening with her whilst she was here and it was great to catch up and hear all about her new life in Australia and see her looking so well. The Aussie life certainly agrees with her! Emma and Beth are building up a nice client base and are proving to be popular members of the team. We are currently running two raffles. One is a tombola style in aid of Alzheimer’s which is being organised by Rhiannon and will take place on Thursday, 20th December; she also has some lovely handmade greetings and Christmas cards available to purchase for the Alzheimer’s charity as well. The other is a free raffle ticket every time a customer buys a styling product, the prize being a free blow dry when they book any other treatment. The draw will take place between Christmas and New Year. We are starting to get very busy in the run up to Christmas and we still have some gift sets available if you’re stuck for present ideas. If you haven’t already booked your appointment for Christmas or New Year then we urge you to do so as soon as possible to avoid disappointment. Our theme this year for Christmas Eve is the Victorian era, so come along and see us in our costumes and join us for a glass of wine and a mince pie. This year we celebrated 25 years of styling and, in order to celebrate, Sophie decided to organise a Hair and Fashion show in aid of the Rowans Hospice. After a lot of organising and preparation we were finally ready and the event took place at Barton Hall, Horndean on the 14th September. The clothes, which were provided by Jazz Fashions, were all modelled by staff members, customers, friends and their children; amongst them were Anna, our senior Stylist, Jenny Redman who is the Quality Manager at the Rowans and three generations from one family, June, Tanya and her daughter Ellie-May. Despite their pre show nerves the models all performed brilliantly.